And now it’s 2015! Hopefully you get to lounge around a bit today, before flinging yourself into the new year in earnest tomorrow. For many of us, with the new year comes a feeling of possibility–the urge to change something in ourselves for the better, or to set a goal we’ve always wanted to achieve, and to–finally!–make it happen. Whatever your dreams and desires for this year–even if they’re just that it’s better than the last one–I hope that they come true. 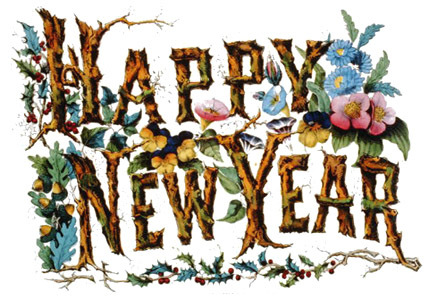 We don’t have any record of Sherlock Holmes and Dr. Watson making New Year’s resolutions, but they both have some bad habits that they may have wanted to change (or, more likely that they wished others to change) and goals they wished to achieve. For today’s question, give one or the other (one of each if you’re feeling ambitious! ), as well as the story in which it can be found. 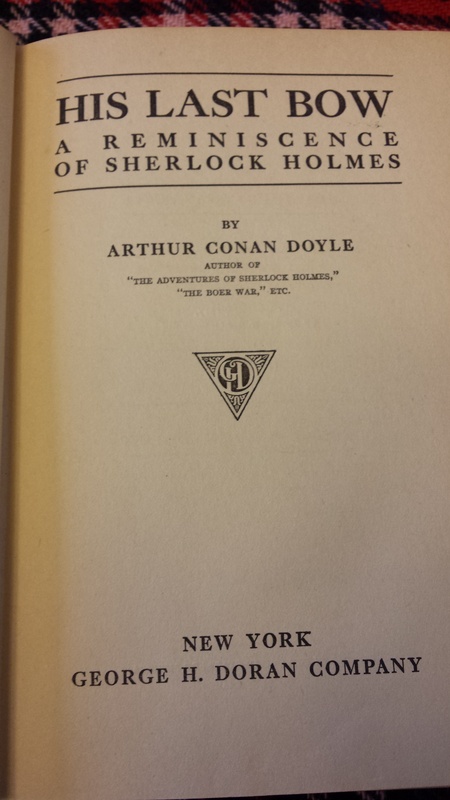 This is a first American edition, published by George H. Doran & Co., New York. It was a gift to “George” from “The Family” in 1917 “With Best Wishes,” going from the pencilled message on the fly-leaf. It has had at least one other owner, whose name is written in ink on the same page. It’s not in perfect condition. As far as booksellers’ ratings go, it is in the “poor” range, which is the only way I was able to afford it! 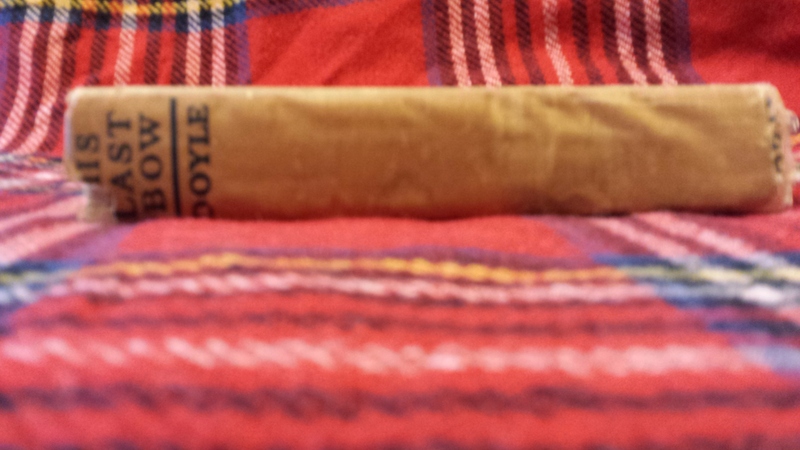 There is some rippling on the spine, where the cloth has loosened, although it didn’t affect either cover. 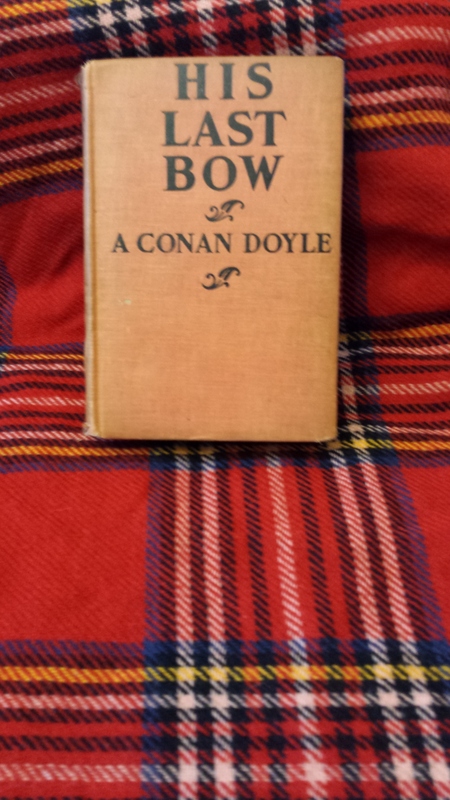 The binding is a bit loose and the hinges are damaged; there is noticeable shelf wear, and some staining inside the covers. There may be a little bit of “foxing,” or brown spotting in some areas. That being said, it may not fetch a great price online, but I think it’s a nice book for any collection. This is the rippling on the spine. As always, to enter the drawing, send your answers in via FaceBook PM, Twitter DM, or blog comment! For full rules, see the post for 20 December.